Finding a roofer is not hard. It’s the weeding through all your options that can be difficult, especially when there are shady characters out there that are simply out to get your money. To get you started on finding the right roofer for you, you can train your search to only go over local roofers. Aside from ensuring that your roofer has a deep understanding of weather conditions in your area, which will allow them to provide a suitable roofing solution for you, working with a local roofer lets you avoid storm chasers blowing through your town. 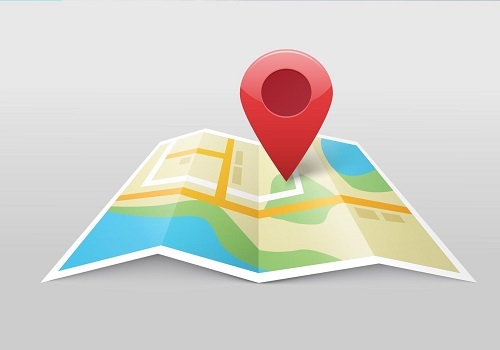 To identify a local roofer, check their business address and make sure they have a working phone number. LOVE LOCAL: Working with a local roofer means working with someone who understands weather conditions in your area exactly. Is your roofer licensed AND experienced? It’s one thing to be a licensed roofer and it’s another to be experienced. Being licensed means a roofer met standards set by your state to operate while being experienced means a roofer has actually done jobs to apply what they know and build upon that knowledge. This isn’t to mean that you should favor experience over being properly vetted by local trade authorities, however. Make sure you can take advantage of both! A license assures you that you’re working with a legitimate business while experience ensures that your roofer has what it takes to address your needs. The more years of experience a roofer has have had in the industry, the better. 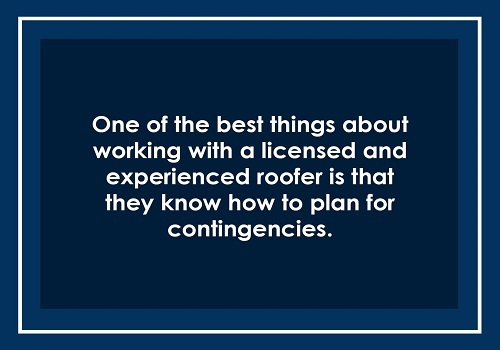 One of the best things about working with a licensed and experienced roofer is that they know how to plan for contingencies. Roofing is exact and can follow a methodical process but sometimes things just happen beyond anyone’s control, resulting in injury or damage to property. YOUR property. Nobody ever expects that anything will go wrong during a roofing job but getting an insured roofer can protect you from liability should injury or damage to property (not just to yours) arise in the event of an accident. One of the ways you can gauge a roofer’s abilities is by checking their certifications. Whether certificates are awarded by trade organizations or roofing manufacturers, they point to a roofer’s excellence in their craft. After all, being certified means certain standards were met, including undergoing specific training to ensure proper handling and installation of roofing products. If the biggest names in the industry can trust a roofer to offer their products, then you can rest assured that you can place your trust in them as well. Is your roofer positively reviewed? Reviews give you a look at how a roofer works by giving you a glimpse of a past customer’s experience. Different homes have different needs but the more positive reviews there are, the more you can expect that your experience with a roofer will be satisfactory. Many roofers have testimonials on their websites but you can also check out other resources to get a feel for a roofer’s capabilities. Take it as a good sign, for instance, when you see an A+ rating from the Better Business Bureau and an A rating from Angie’s List. 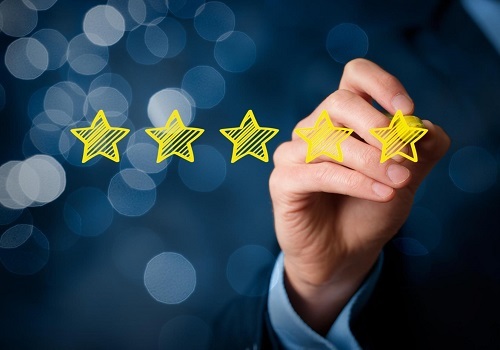 FIVE-STAR QUALITY: Whatever the job, an expert roofer will do their best to address your needs. Is your roofer willing to stand behind their work? Whatever roofing style or material you’re interested in, you have to make sure that product warranties are in place to protect you against defects. Opting for a reputable brand is a way to ensure you’ll enjoy quality but should any problems arise, it’s always a good thing to have something you can fall back on. Aside from product warranties, however, make sure that you’re also receiving workmanship coverage. How your roof performs, after all, will also be affected by the kind of installation work you are provided. 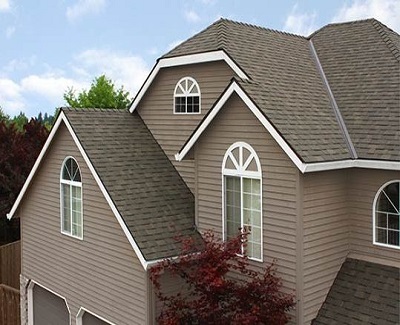 Master Elite roofers, for example, can offer warranties from GAF that cover both material defect and workmanship. 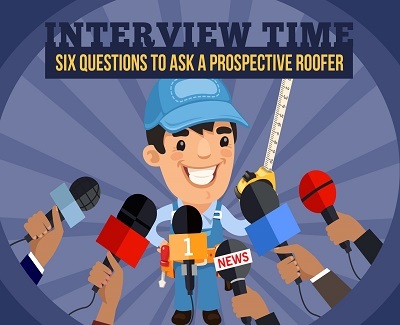 Is your roofer a good communicator? Repairing or replacing a roof in itself is a straightforward process but a lot will transpire before any work actually begins, during, and after the roofing job is done. This is why it’s crucial to get a roofer that communicates well with you. For one, a roofer who is a good communicator will be able to discuss roofing options available to you properly, allowing you to make the best choice for you and your home. There are a lot of roofing options out there, after all, and you’re going to need expert guidance to find the right solutions. Good communication is also key to resolving issues that may crop up at any part of the roofing process and is one way of knowing how much a roofer values customer service. 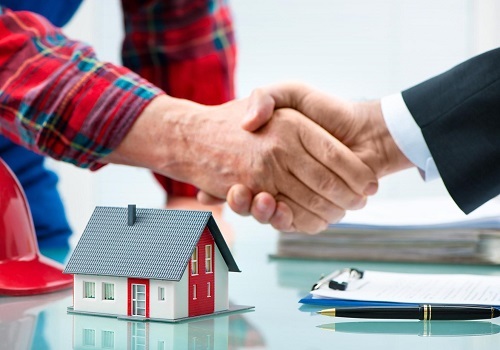 SEALING THE DEAL: There’s no better feeling than finding the right contractor and knowing that your roof will be in good hands. If you answered “YES” to the questions on this checklist, congratulations! You’re in good company. Roofing can be a significant investment so it’s important that you’re working with the right people. Regardless of the specifics of what they have to do, a roofer who meets this checklist’s criteria will certainly deliver what you’re looking for and probably even more. Should you have any roofing questions or concerns, don’t hesitate to get in touch with your local roofing expert. Chris Spacek works with his brother Jamie in managing West Side Roofing, a company started by their father in the 1950s. Where he takes care of residential customers, Jamie concentrates on the commercial side of the business. Chris also writes on the company blog to share his knowledge and experience. Check it out for updates from Chris!